How on earth is it already March? With that, it means Mother's Day is just around the corner! This is actually my first year creating a Mother's Day Gift Guide. Now obviously, it's not all about the presents, you can have a fantastic day with your mum no matter what. That being said, it is nice to treat our loved ones when we have the chance! No matter what you're budget is, you can always find a gift that your mum will absolutely love! With that being said, enough rambling, and let's get into my top picks for this Mother's Day.. Kicking things off, I had to include my new favourite scent in this post! 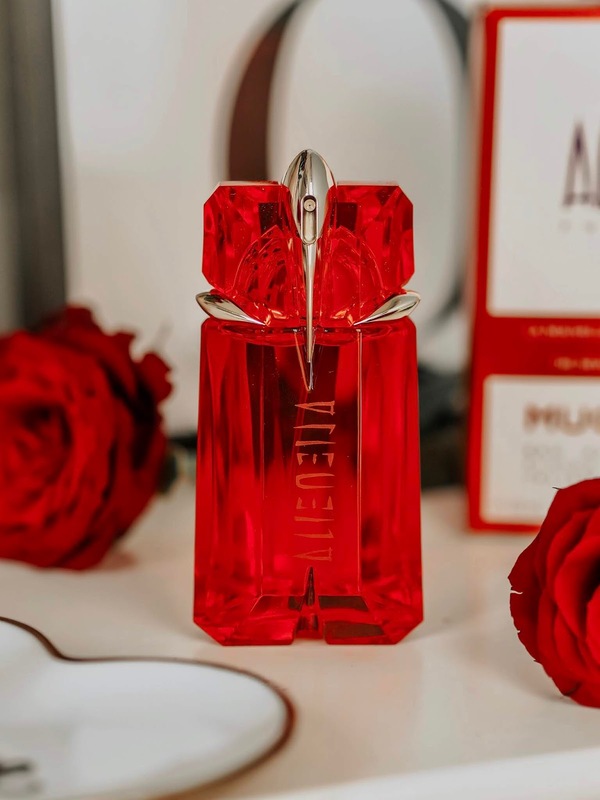 The brand new Mugler Alien Fusion perfume is not only stunning to look at, but smells incredible. With subtle notes of Vanilla and Cinnamon, Orange Blossom and White Amber, this is definitely more on the warm and fiery side. The inspiration for this fragrance, was the way in which the sun meets the moon in a Solar Eclipse, and day and night come together! You can see this embodied in the packaging as the classic Alien bottle is an intense hue of red to mirror that of the scorching sun. The best word to describe this scent is Spicy, and yet it still manage to be sultry and feminine at the same time. This is definitely one of those scents that make a big statement and leaves you oozing with confidence. Another fragrance I've been loving for staying fresh throughout the daytime is a brand new venture for ELLE. 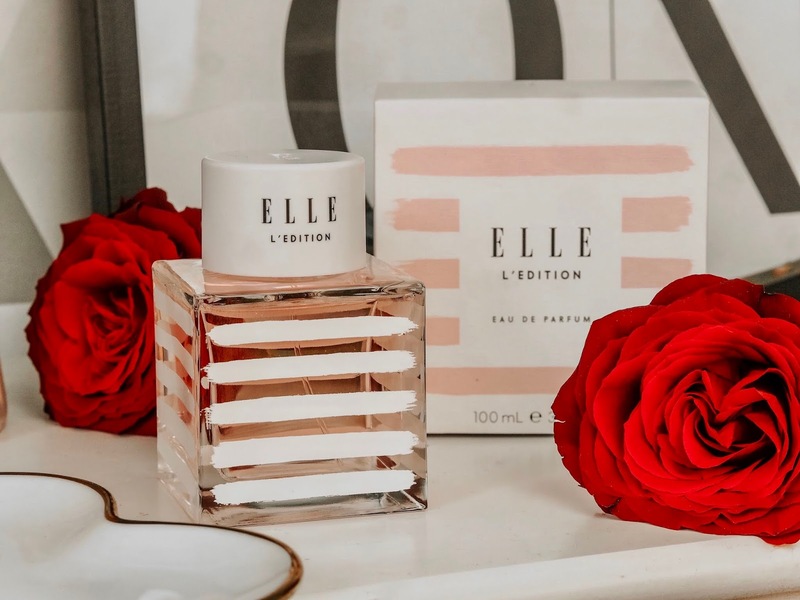 We have all heard of ELLE magazine, well they recently just launched their first every fragrance, ELLE L'Edition. This fragrance is inspired by bold femininity, whilst staying true to the Parisian heritage of ELLE. With notes of Mandarin, Pear, Jasmine and Peony, this is the PERFECT daytime fragrance. It's a fresh, feminine scent that I think a lot of us ladies would love..perfect for your mum! I really love the minimalist, yet modern packaging with the white stripes that lets the pink fragrance peek through! Now of course, the most popular choice for a Mother's Day gift is some dazzling jewellery. And you can totally understand why. Jewellery is something that many people hold onto forever as it can be a real personal gift that can hold a lot of sentimental value. 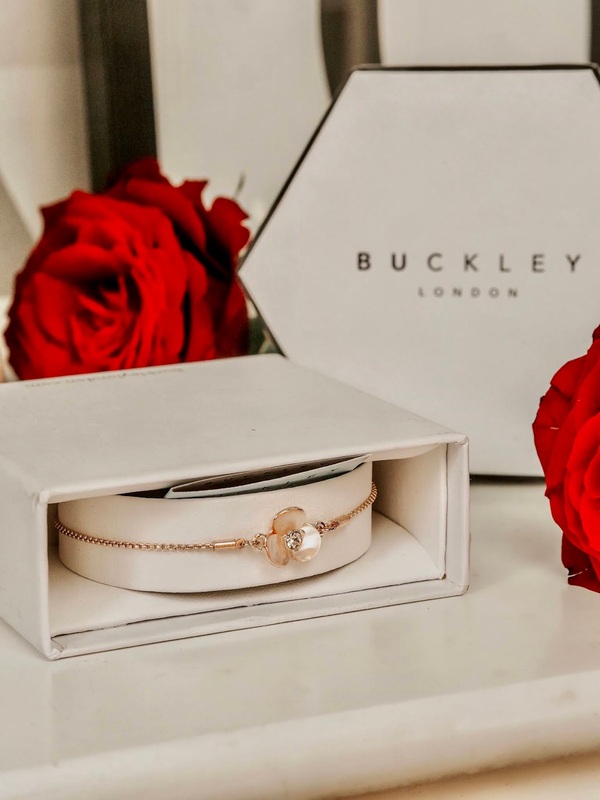 Buckley London is a British jewellery brand that offers a range of aspirational, yet attainable pieces for any occasion. One collection on their site that I think would be perfect for Mother's Day is the Mother of Pearl pieces. The Mother of Pearl Gift Set contains a pair of stunning rose gold flower earrings and the matching pendant necklace. Both pieces also have a hand cut faceted stone to add some more sparkle! And if that isn't enough, you can also purchase the matching Mother of Pearl Rose Gold Bracelet to go alongside the gift set! 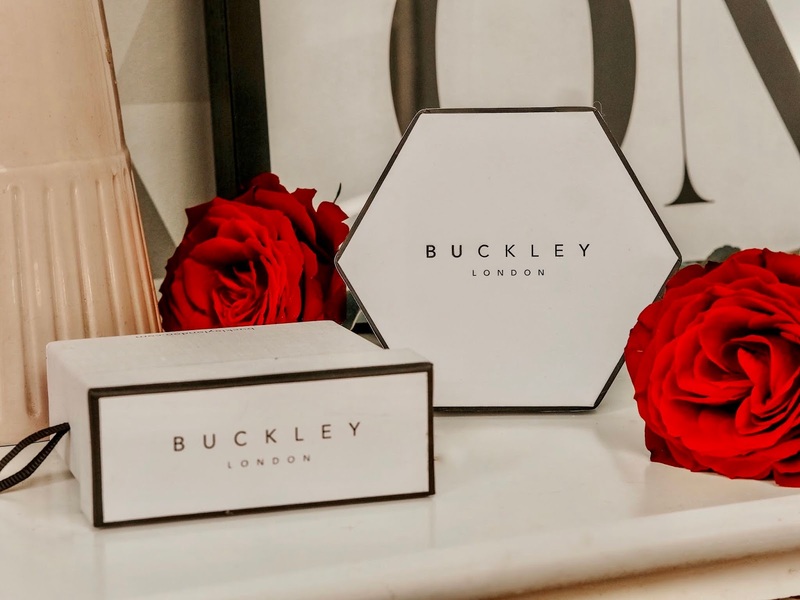 All three pieces come beautifully packaged and presented in Buckley London gift boxes. Now you've heard me mentioned Adexe watches a few times now, and there's a good reason for that! The quality of their watches are fantastic, and their gorgeous minimalist designs mean you're going to get a lot of wear out of your watch. My latest addition from Adexe to my collection, is the Meek Petite Marshmallow White Watch. White isn't normally something I'd go for, but I'm so happy I did! 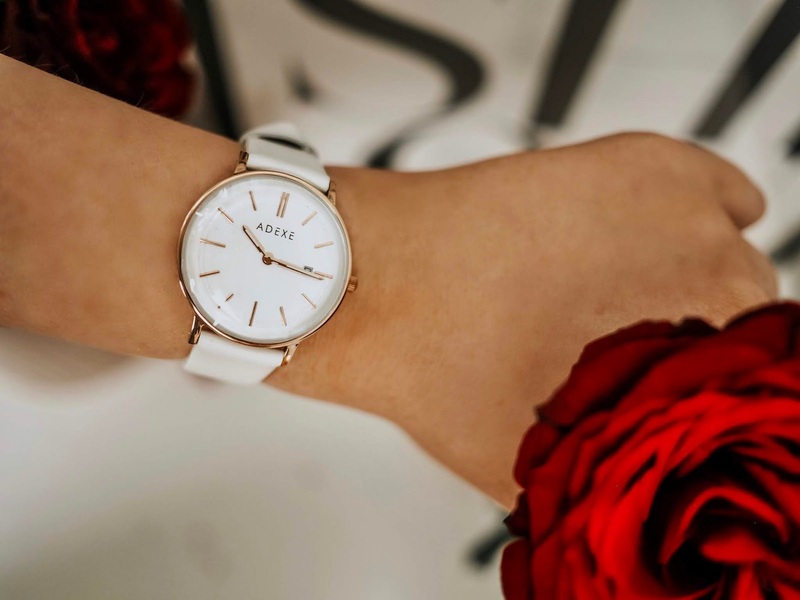 My mum actually already own a Silver Adexe watch with a much larger face, so this is a great pick for something a bit more dainty and delicate for everyday wear. 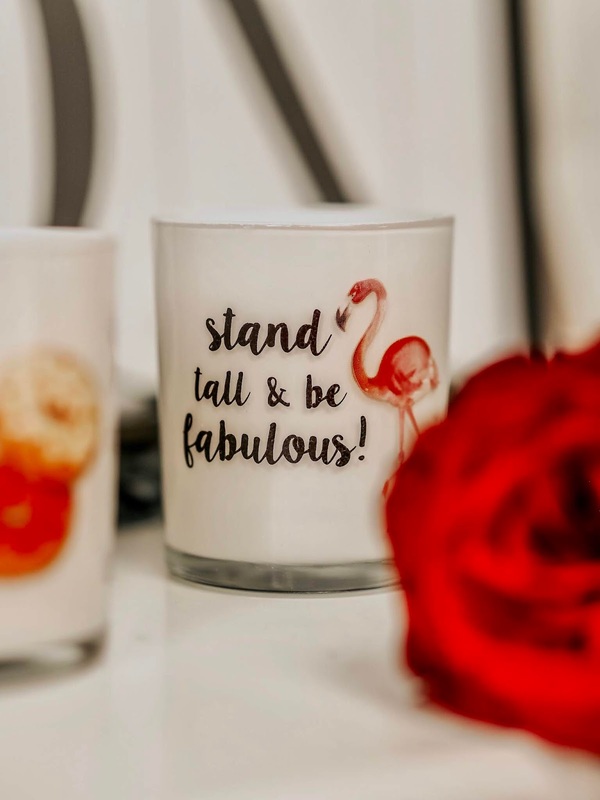 Don't worry thought, if this isn't to your mums taste, there are plenty more gorgeous designs and style that will leave your mum spoilt for choice, without breaking the bank! We all know how much I love Baylis & Harding, especially their gift sets! They're so affordable, and have something for everyone, and for every occasion. 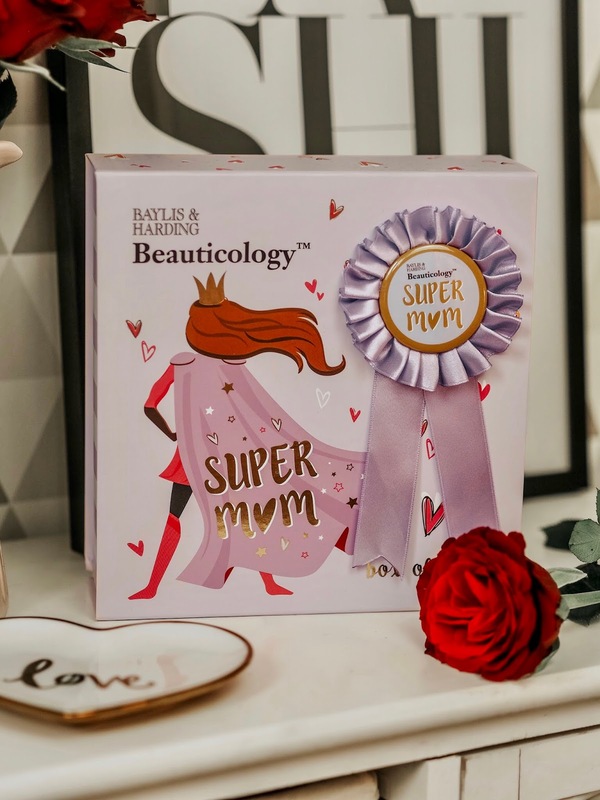 One of the cuteeeeest, gift sets I have seen this year is the Beauticology Super Mum Box of Treats Set. From the colours, to the design and packaging, everything in this set is super cute and really loveable. 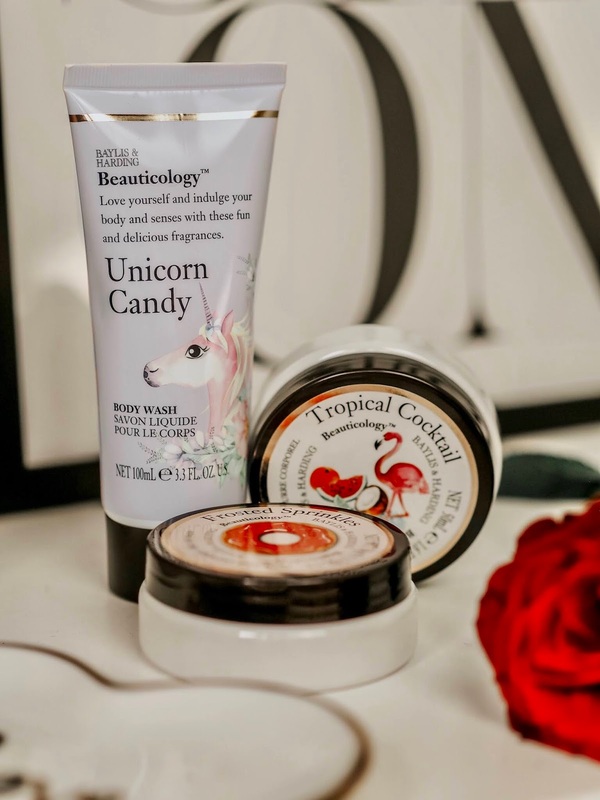 In this gorgeous little set, you'll find a Unicorn Candy Body Wash, a Tropical Cocktail Body Butter and some Frosted Sprinkles Bath Crystals. So as you can guess, everything smells soooo yummy, and the scents are just very fun, and playful. And the best part? This set is currently less than £10 on Amazon! 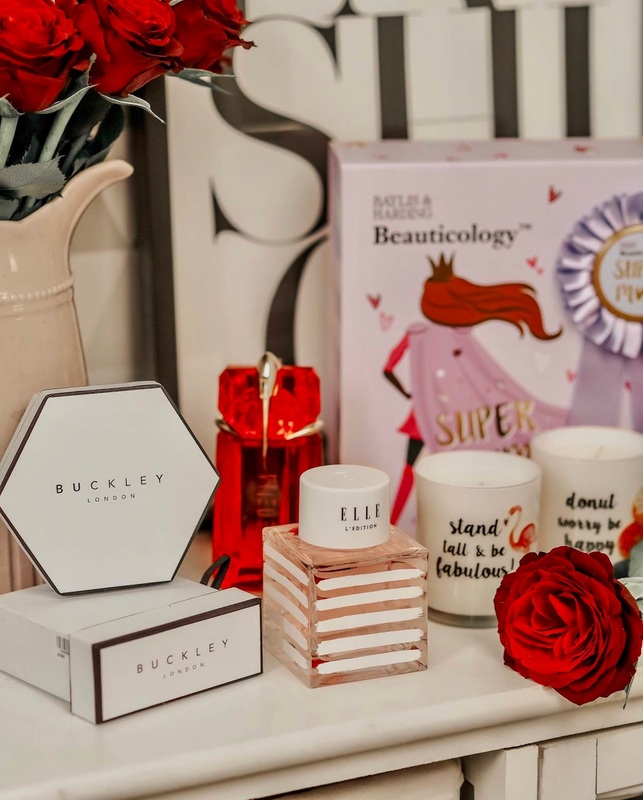 Another little set that you could give your mum alongside the Super Mum beauty set, is this amazing Trio of Candles Set. These three candles, are in the same matching scents as the beauty set above, so both go hand in hand together to make the perfect Mother's Day bundle! 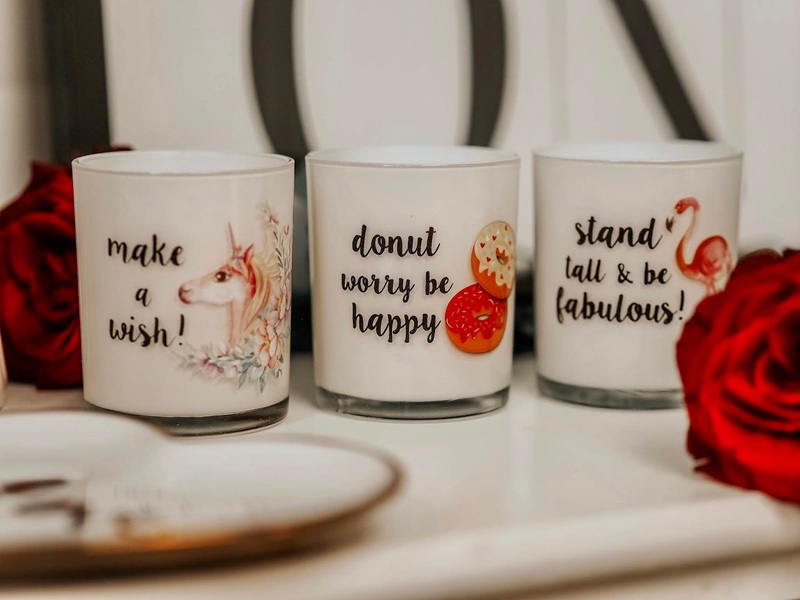 The minimalist packaging features a pop of bright colours, fun designs and quotes is bound to jazz up any area of your home. I really love the concept Baylis & Harding were going for with these sets. They would be perfect for those mums who a fun, bubbly and full of personality! And there we have it! There were so many more amazing gift sets and products that I wanted to mention but then this post would be faaaaar too long. Plus, I thought it would be nice to include a mix of both independent brands, and larger more well know brands. Which Mother's Day gift is your favourite? *AD - This post contains gifted items. All words and opinions are my own. Please refer to my Disclaimer page for more details. I absolutely love Buckley London! Their jewellery is beautiful! I don't know what I love more the watch or the necklace set! SO beautiful! These are all such nice suggestions. I might spoil my mom with a new watch! My mom loves a fragrance or candle!